Apple celebrated three ten year anniversaries in 2011, making 2012 its first full year in its second decade of Mac OS X development, iPod devices and iTunes, and its retail operations, even as the company takes on new business categories ranging from iAd to iCloud to Siri. 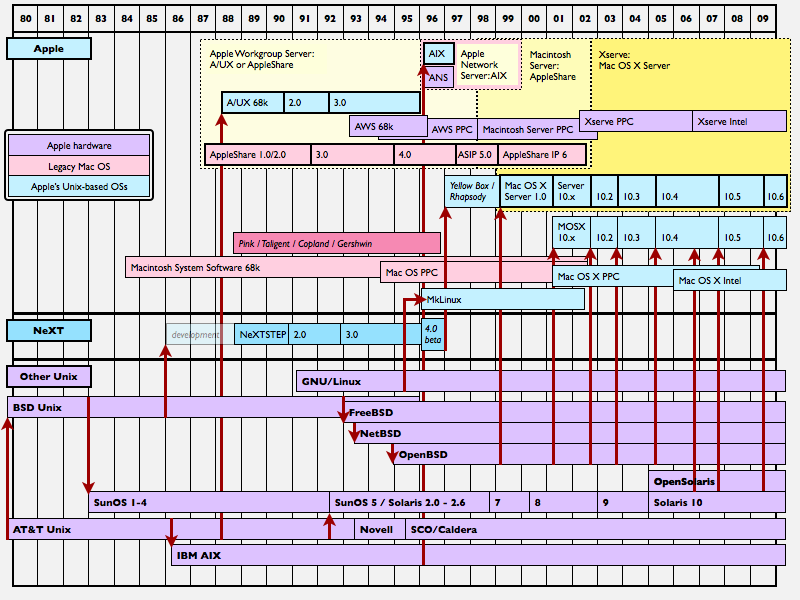 Here, in part one, is a look at where the company is headed for its next decade of Mac OS X.
Steve Jobs launched the initial 10.0 version of Mac OS X in March 2001, describing it as a platform Apple would use over the next fifteen years, or roughly the same period of time the "classic Mac OS" had been used to power the Macintosh at the time. When he said that, Jobs also likely had in mind that NeXT, which built the operating system that Mac OS X was built on, was itself 15 years old in 2001 (having existed since his departure from Apple in 1986). Ten years ago, Apple was leveraging the proven technology and enabling potential of NeXTSTEP's Unix core, software largely being pushed forward by Linux and the FreeBSD, NetBSD and OpenBSD open source projects, to deliver Mac OS X as an viable operating system that could compete against Microsoft's Windows NT-based offerings. Over the past decade, however, Apple has become the primary vendor of Unix workstations and has arguably taken over in leading mainstream Unix development. Apple now owns and administrates CUPS, the open Common Unix Printing System used by Linux and Unix distributions, and has taken the lead in replacing the aging GNU C Compiler (originally released by Richard Stallman in 1987 as the core of a free development toolchain for Unix) with its own, next generation LLVM/Clang/LLDB development tools. Because Macs and iOS devices share the same Xcode development tools incorporating these technologies, Apple now has enormous leverage in deploying technologies that can and will gain broad adoption, something it struggled to do just a decade ago. While leading and advancing open development of core OS technologies, tools and platforms, Apple has also achieved a driving position behind open standards. 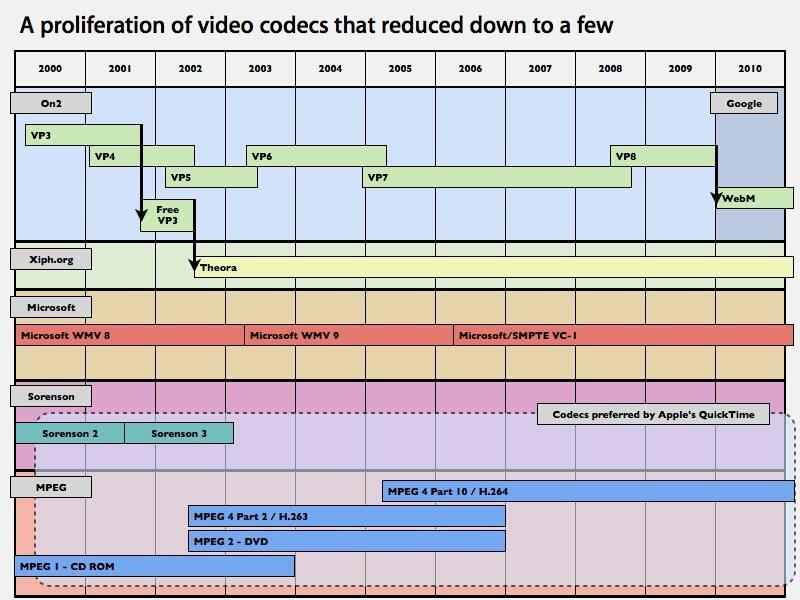 In media, this has shifted the world from incompatible competition between QuickTime's Sorenson codecs, Microsoft's Windows Media, Real Networks and Flash/On2 TrueMotion and replaced it (in just the last few years) with open competition based on MPEG AAC/H.264. Apple has also bridged incompatible efforts by ATI and NVidia to drive open standards for graphics development and general purpose computing that can take full advantage of advanced graphics processors from any vendor, backing the existing OpenGL and OpenGL ES and developing OpenCL itself as an open specification for spinning off computationally complex tasks to any and all available processor cores. Apple has also supported the Khronos Group's COLLADA 3D format in its new Scene Kit, which appears to have the potential for meshing with sophisticated new mapping appellations Apple has hinted at for iOS (and which have spurred the company to acquire three maps-related companies over the past few years). While the user interface of Mac OS X Lion (and its iOS sibling) continues to drift toward simplicity, its underpinnings are becoming increasingly sophisticated, with support for new code parallelism, managed by Grand Central Dispatch, to take advantage of multiple cores and new types of processor cores, as well as newer storage technologies (such as SSD) which require new ways of working with data to fully optimize their advantages. At the same time, Apple has finally gotten to the point where it can put down a series of outdated APIs (notably Carbon, the procedural development tools inherited from the classic Mac OS) and focus exclusively on modern 64-bit Cocoa, just as iOS devices have. Mac OS X and iOS have shared technologies back and forth in each major release. In the near future, Mac OS X is likely to absorb recent iOS 5 feature including expanded Twitter integration; new support for configurable, app and system originating notifications (including getting iMessage from and sharing proprietary IM iChat features to iOS); iOS-exclusive App Store features including in-app purchases and Game Center support; system wide support for AirPlay video distribution (rather than just from iTunes); assistance features powered by Siri and expanded support for iCloud documents (including support in new iWork apps) and data management (such as the reappearance of Settings and Keychain sync between Macs, lost in the transition from MobileMe to iCloud).